(iii) the landbridge did not exist within human memory. 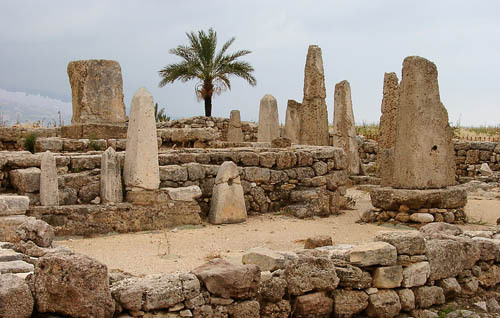 Recently the archaeologist Ibrahim Noureddine has voiced the opinion that the current port at Byblos is too small to have accommodated the Phoenician fleet as recorded by the likes of the Palermo Stone. The current harbour is only 2.8 meters deep and with a solid rock floor could not have been deeper in the past. Noureddine is now researching alternative sites. If the content of the Palermo Stone is accurate and not an exaggeration it would appear that the matter of ancient Mediterranean sea-levels may be still open to question. The resolution of this matter is critical for supporters of a Mediterranean Atlantis. A November 2016 report claims that the discovery of the ancient port “is close”, quoting George Papatheodorou, professor of environmental and geological oceanography at the University of Patra’s Department of Geology(a).